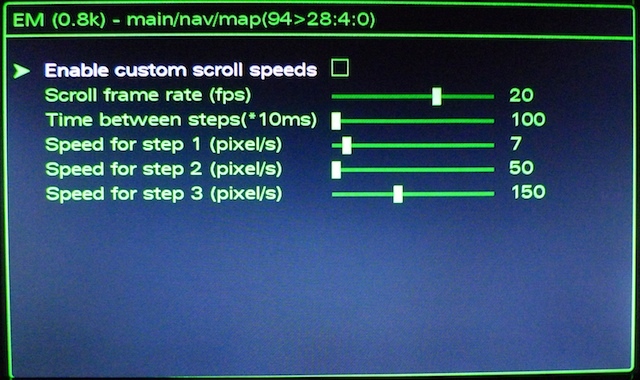 Just like in the MMI 2G, there’s a hidden menu in the MMI 3G too. I don’t encourage anyone to enable the hidden developer menu as it’s hidden for a good reason. So, if you’re the kind of person who likes to press buttons without knowing what they do, the hidden menu may not be for you! Don’t say you haven’t been warned. Is there anything useful you can do with this menu? Well… that depends if you count things like enabling the battery capacity status bar, increasing the microphone sensitivity or changing the splash screen image useful or not. Thanks go out to Flibbi (again) for providing the adaptation channel settings! 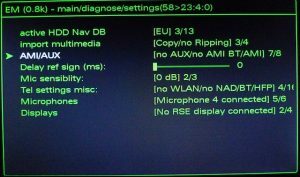 I have a late 2011 A6 4G and I was able to set channel 6 to 1 in VCDS. I have tried to open the hidden menu using the “Menu” and “Car” buttons and holding these buttons for many more than 6 seconds but no menu. When I check the value of channel 6 in VCDS it is definitely set to 1. Anyone aware of any other available tricks? I have a problem when I enable the hidden menu. At the top-left corner, there is some white word on the screen, does anyone know how to disable it? I have tried to enable google map, but not work because I do have wifi or 3G module! I have enable the hidden menu with my MMI 3G plus, but I have a subtitle in the top left coner of the screen and shows “ScreenID=xxxx”, I forget which item I enabled, please help me and I can disable the subtitles. Please if you have to answer, kind to share the information! I can send a screen picture if you need. 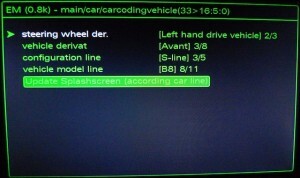 I have activated hidden menu on may car to activate this battery level menu point on MMI. After I have done it I lost clock from MMI screen there –:– just shown instead of time and in MMI menu “Time” I can only adjust date and time formats. Options to change time and source of it have lost. Hi, I’ve same problem: do you have solve it? Please let me know how I can solve this problem, I have a 2016 VW Touareg TDI USA and after enabling green menu via VCDS have the top left corner white screen ID. Hoe I can get rid of it, thank you in advance. 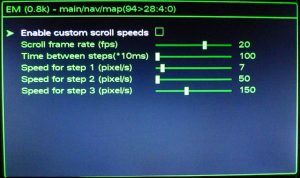 Who have the complete list of manipulations with the MMI (3G) hidden menu??? Looking for the solution to unlock the GPS but unable unlock it yet, If anyone here has a solution please help me out will be very thankful to you. 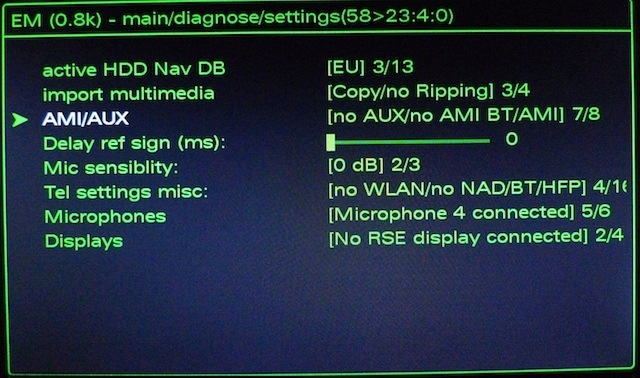 Can anyone help activate AC info in the MMI display? My watch is not over into the MMI display. I think this must be done in the hidden menu? Is it possible to add/change POI’s within the navigation data? hello, it is possible to activate the automatic closing of the porter. Is there anyone who know how to activate the gps and who have the maps for western europe too ? Could you please help me, maybe what went wrong? 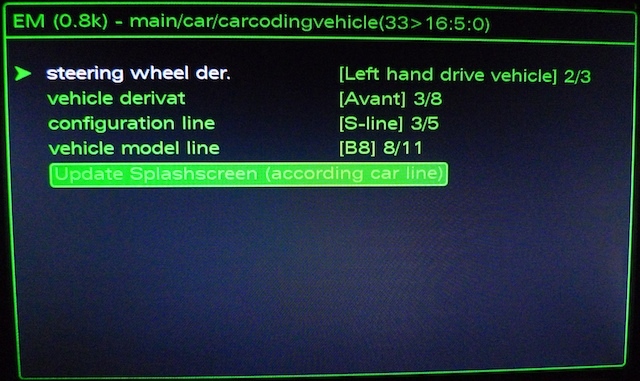 can someone tel or help me how to unluck the tv speed on a audi A1 mmi system, the mmi 3g is no problem and that works but if y thry to do the same on de audi a1 its tels me thad y need a 5number unluck and y cad one of 4.
this is whit the tool from te site. Thanks for the help, I got determinded and tried sooo many differnt variations but here is what finally worked for me. Jan, thanks for the reply, I definatley have the the 3G high, with hard drive, I’ve already uploaded some songs, and noticed there is no DVD for the navigation like I had in my 2009 A4. How do I check to see the serial version? Mike, there are a number of areas where things can go wrong. a) Are you sure you have a MMI 3G high, there’s also a basic version with a slightly smaller screen an no internal hard drive. 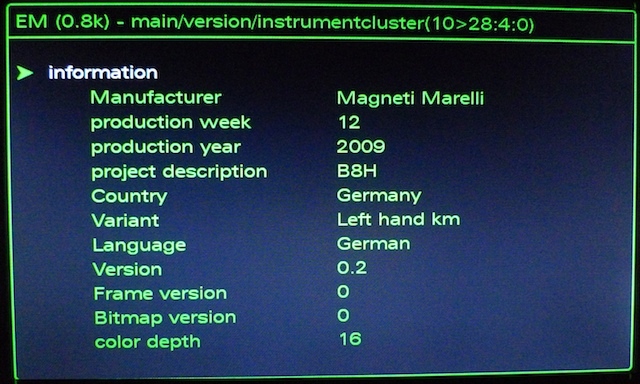 b) There’s a new version of the MMI 3G high which has a non-numeric serial version (K5FAN). Maybe things don’t work the old way with these new models. Ok, I’m prob doing something wrong here. I have a mfg 3/10 2010 A5 Cabr. 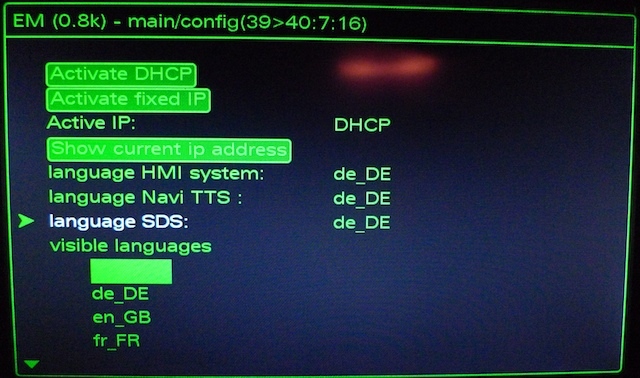 I have a 912 hex-can-usb vag and for the life of me, have not been successful at enabling the hidden menu in the MMI, following the above steps. 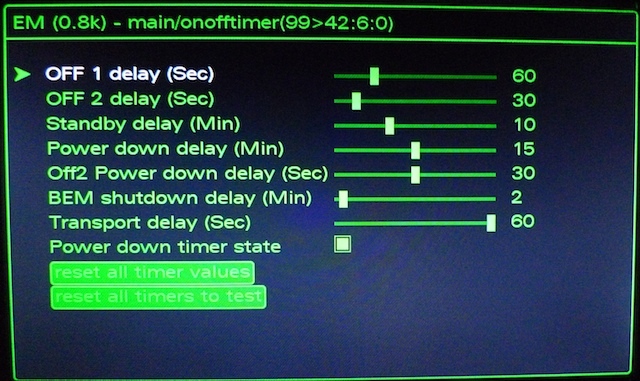 I have also rebooted the MMI and still no luck with the CAR/SETUP routine, after doing 5F … steps. inside the new 3G MMI system. Is this generator also working for my MMI system. And after generate what do i have to do ? Does anyone know how to activate the bluetooth phonekit on the newer Audis with MMI 3G technology. Is it possible to activate bluetooth with this? Maybe conecting microphones to the main unit and enabling the option with the hidden menu it works. any chance with the programming of the auto closing of the lift gate? also it would be great to auto program the remote to lock the windows when leaving the car and pressing the auto lock. Could you please be so kind and advise how to enable the option of closing the boot lid using the ignition key? Thanks a lot! A questionThe Bluetooth phone is always on the menu secret initia 5F? 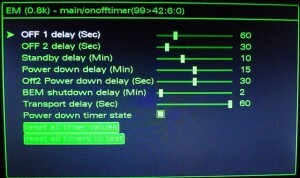 Some other sites are enabling Tyre Pressure Monitoring System (TPMS) for 3g mmi using the hidden menu and Vagcom. Have you tried? How about another idiots guide for us idiots!!!! Nevermind, got it working! Thanks for posting! i have a question regarding the audi bluetooth telephone. Is it posible to deactivate automatic profile switching and automatic sync of contacts. It should be posible to sync contacts with a connected mobile phone (bluetooth with sap) and then use the contacts with an inserted sim-card (bluetooth mobile disconnected). I’m not talking about the 100 entries, which can be saved in the car, but about the 2000 entries which can be synced. If i connect my bluetooth phone all contacts get synced. But if i disconnect the phone and insert a sim-card, then the profile is switched and all contacts will disappear. Great tricks! Just wondering if you had heard any success with this in North America. I have set 5F Channel 6 from 0 to 1. Pressing car setup for 6 seconds (or longer) does nothing. I am in Canada and have a 2009 Q5. Thanks for making this information available for all! Maik, I have no idea how to do this because I ordered the car with the AMI. Maybe it can be activated using the hidden menu but you still need to take care of the wiring. 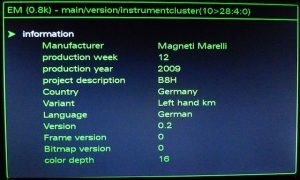 did you now how to enable the build-in AMI Interface via the Hidden Menu ?